We are looking for partners to help us achieve our vision. 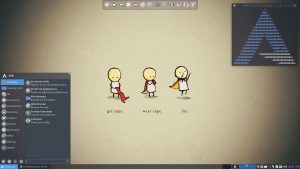 Bringing Linux – Arch Linux closer to people and give them an midlong-term development plan to improve their linux skills. Many youtube tutorials have been created. Many more are planned. There are so many ways you might be able to help us. We thank How2Solutions for hosting our websites and supporting ArcoLinux financially.